My Pieces of Time: More Anna Griffin Inc.!!! Lots of new Anna Griffin goodness to share again. She had some really great shows on HSN last week!!! Here are some of the projects that I did for the shows. First up are a couple done with the new 12" Embossing Folders. 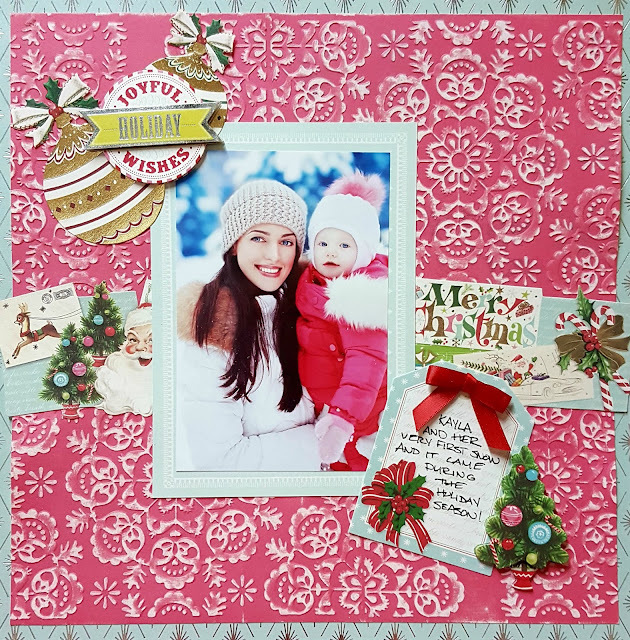 These are Holiday folders and are so pretty!!! These two layouts were done with different techniques The first one was done on white core paper and sanded and the second one was done by inking the folder. These three were done with the new Deco-Flock. 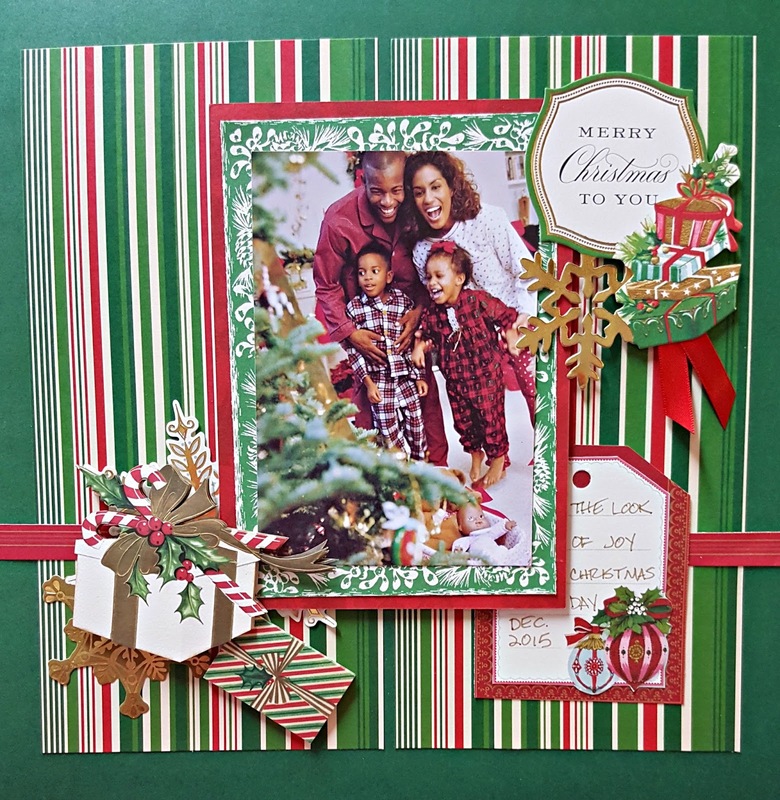 There is a Christmas set and an Everyday set. The first two are done with the Christmas colors. Lots of fun to play with this stuff!!! The ornaments and the snowflakes were done with it. 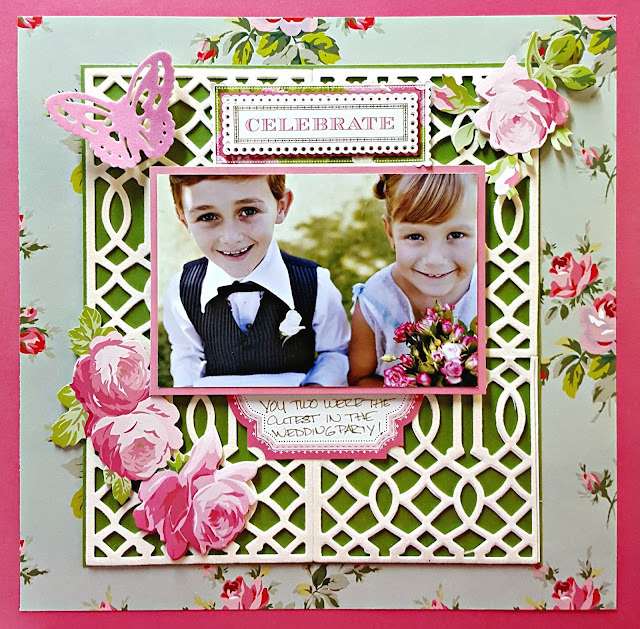 This one was done using the Everyday colors, the filagree matt and butterflies, using the ivory and pink colors! This one was done with the Holiday Die set, the words, deer and bow!!!! 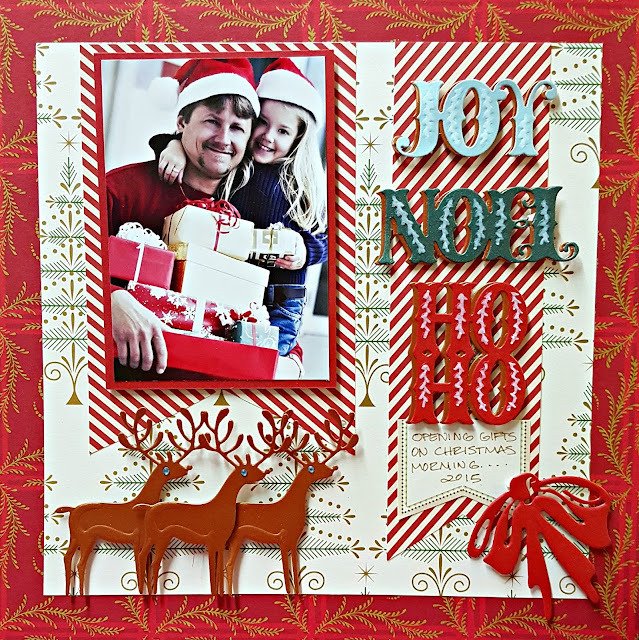 This one uses the Holiday cardstock layers. 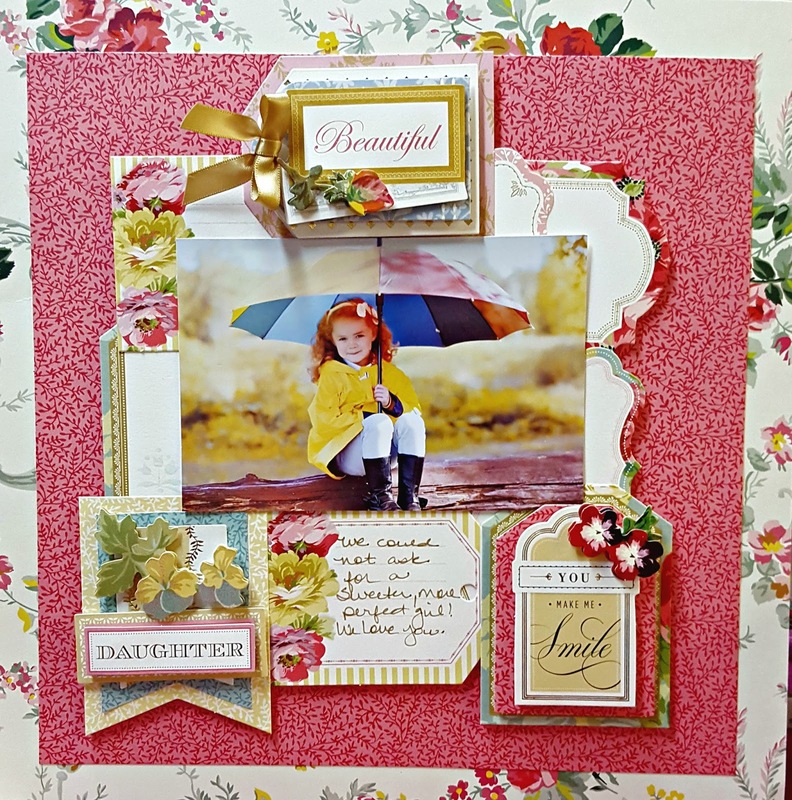 Lots of colors and patterns to mix and match together!!! Favorite Holiday Sentiment stickers here!!! Love these fun title stickers!!! This was a simple page, but one of my favorites! 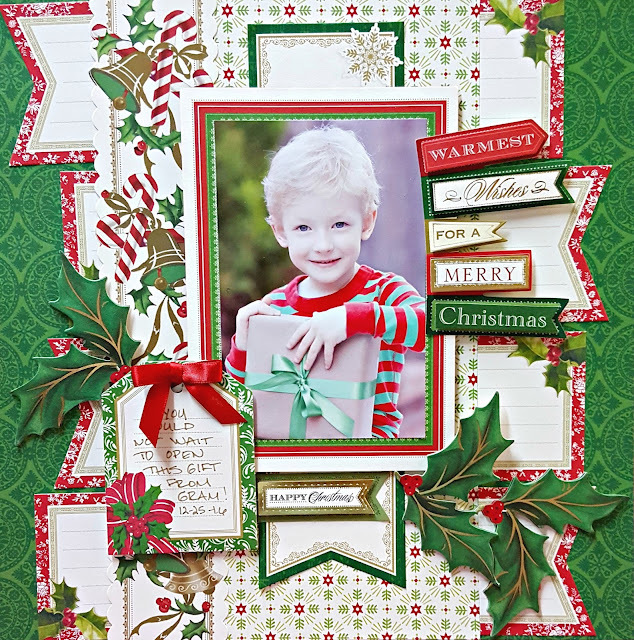 For this one, (the Everyday set) I used the dies and layered the tags on the bottom!!! I have lots more to share with you later!!! So many fun things. And Anna has another show coming up in November!!! Don't forget to check it out too!! !